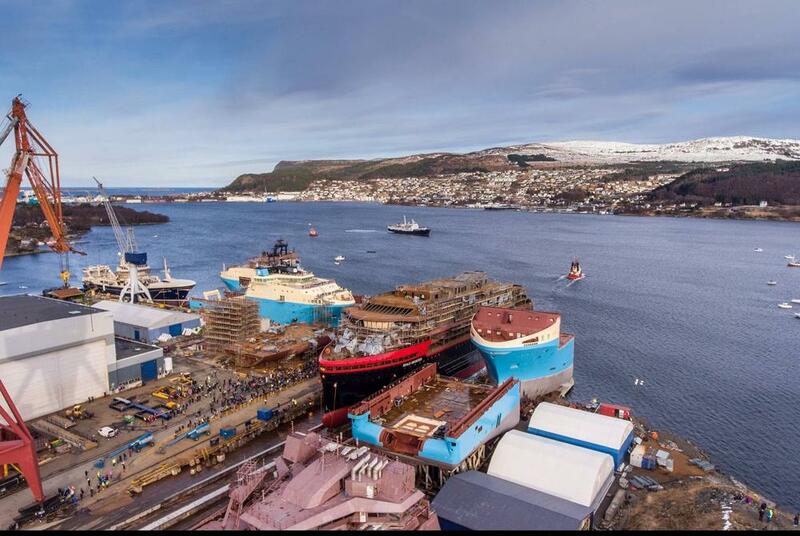 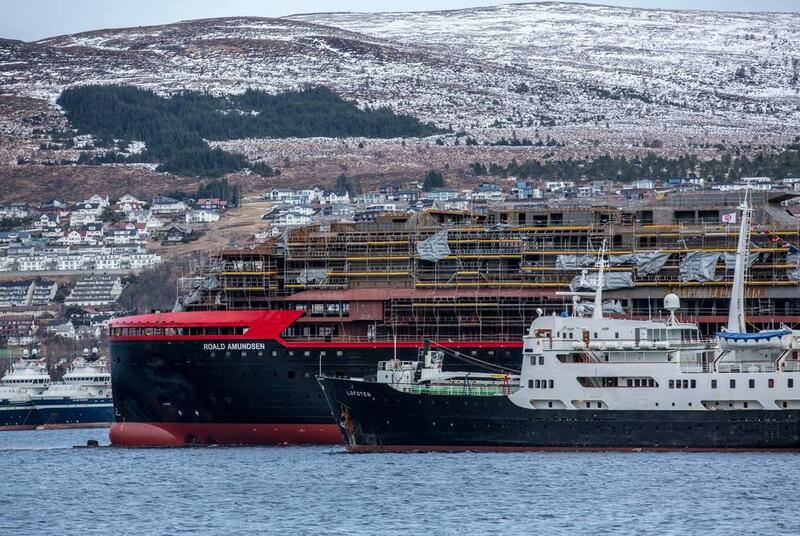 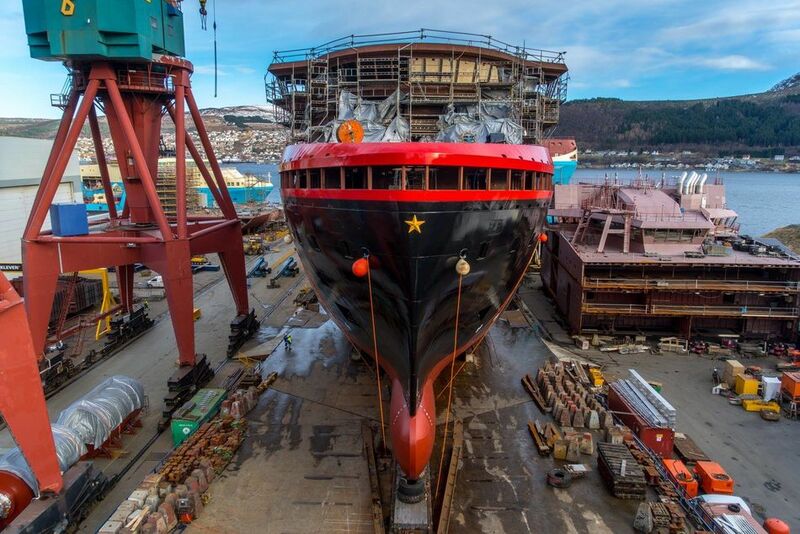 Hurtigruten’s new expedition cruise ship MS Roald Amundsen touched water for the first time during a ceremony at the Kleven Yard in Ulsteinvik, Norway. 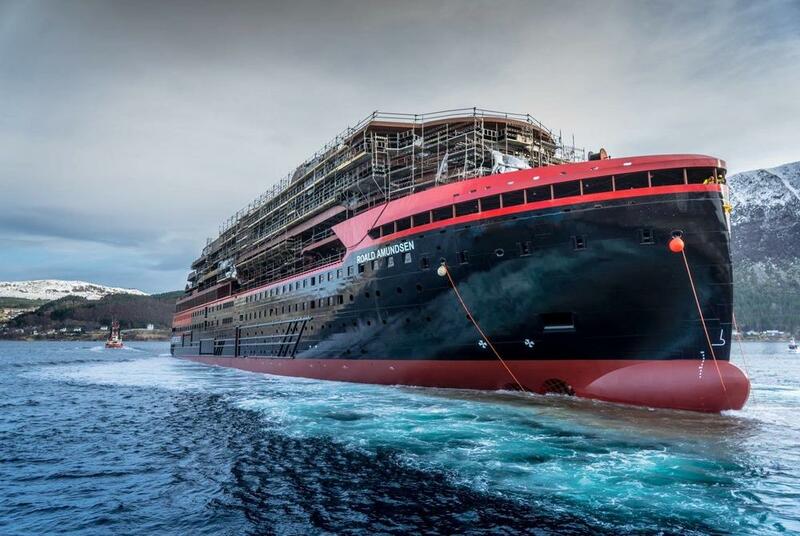 The successful launch marks an important milestone in the construction of the world’s first hybrid powered expedition ship, that will be fitted with large battery packs for reduced emissions. 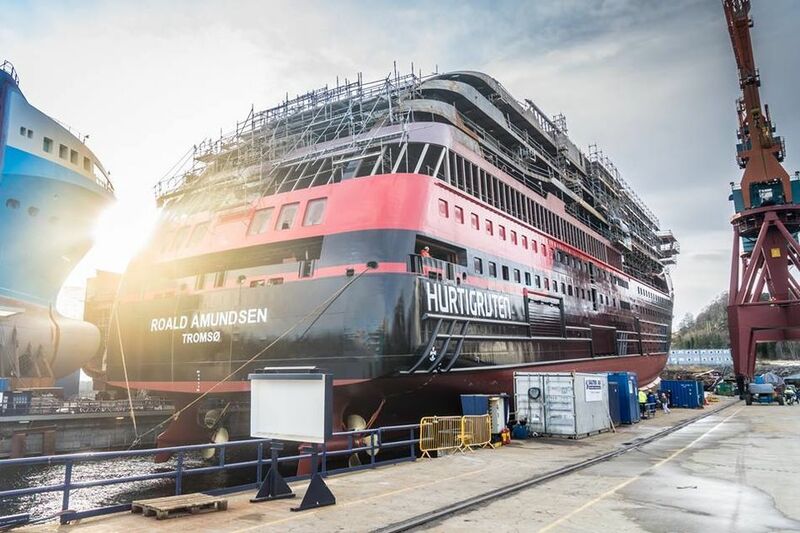 Named after two of the greatest heroes in Polar history, MS Roald Amundsen and MS Fridtjof Nansen, will combine state of the art technology and premium on board experience with Hurtigruten’s 125 years of experience and unparalleled destinations.